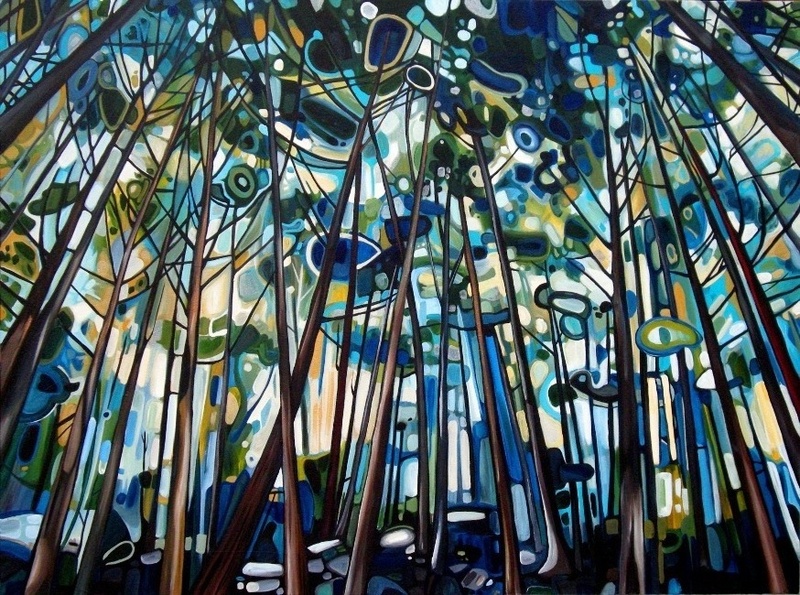 This painting series depicts tree canopies from British Columbia’s temperate rain forest. The imagery acts as a metaphor of cathedral interiors and references the overwhelming sensation possible in such surroundings. A combination of natural light, expanding space, and transparent colour create an effect called dematerialization. This is where the structure of the space becomes intangible or at least less important then the experience of it. The Byzantine church Hagia Sophia in Istanbul is often cited as an example of this phenomenon. These painting compositions usually spiral off into colourful and freehand abstraction, which often bring to mind West Coast First Nation’s design. 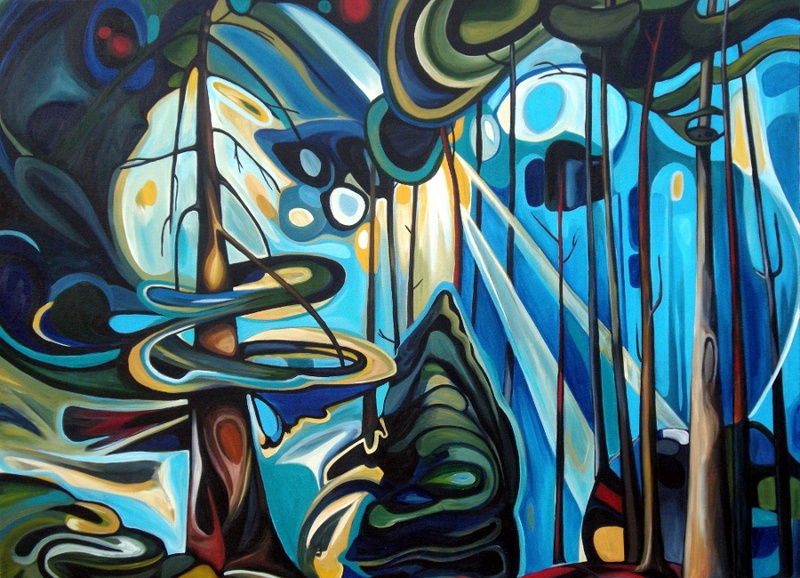 The paintings are based on photographs from natural and protected forestry in BC, including Stanley Park in Vancouver and Cathedral Grove outside Nanaimo on Vancouver Island. The continuing of this motif is also an acknowledgment of Canadian artists who have based their paintings on the same subject such as Emily Carr, the Group of Seven and Gordon Smith.